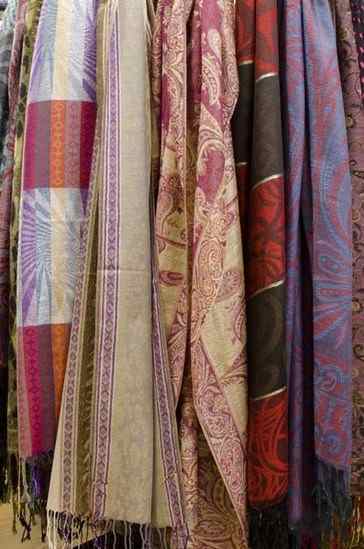 We sell a large selection of scarves and pashmina shawls. This includes an excellent range of plain viscose pashminas at £3.99 each or 2 for £7.00 (available in the shop). We also stock a large range of muticoloured and metal-threaded pashmina.